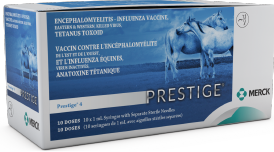 Prestige equine vaccines now contain the most relevant equine influenza strains available. 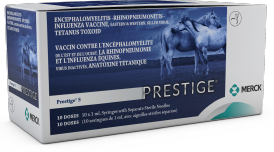 New Prestige flu strains are based on data collected in the ongoing Equine Respiratory Biosurveillance Study co-sponsored by Merck Animal Health and UC Davis. 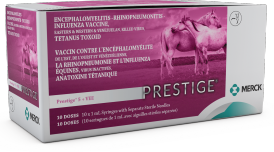 The new line of Prestige equine vaccines continues to set the standard in safety and efficacy you’ve come to expect along with new influenza strains (including Clade 1 and Clade 2 viruses). Based on a highly pathogenic isolate from the 2013 Ocala, Florida. 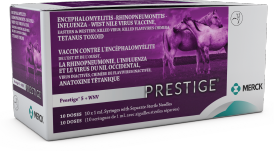 influenza outbreak that impacted a large number of horses. Florida ‘13 was exclusively identified and isolated through the Merck Animal Health Biosurveillance Program. 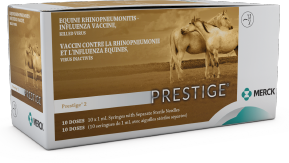 Meets World Organisation for Animal Health (OIE) and American Association of Equine Practitioners (AAEP) guidelines for Clade 2 influenza protection. 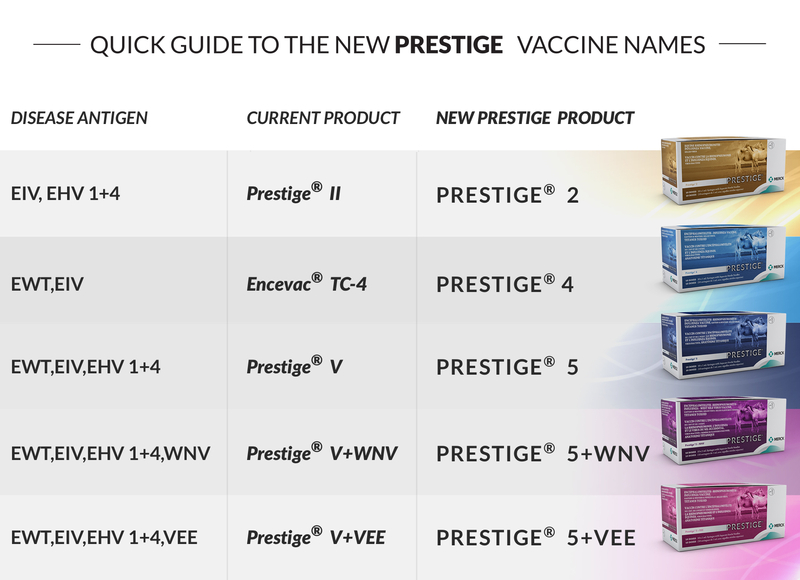 Influenza strain maintained from previous vaccine line. "This is the Science of Healthier Animals working for you – identifying threats and delivering advanced vaccine solutions to improve the lives of horses."